From “a woman who is about to become as famous in the diet and fitness industries as Martha Stewart is in the world of home decoration” (Liz Jones, The Daily Mail), this back-to-basics approach helps you keep a protein-rich, hormone-balancing, and detoxifying diet to build muscle, catalyze fat loss, and feel gorgeous fast. Weight loss may seem like a modern idea, but studies show that the solution is ancient: a natural diet of lean protein, vegetables, fruit, seeds, and nuts—and no processed starches—leads to a strong, healthy body that works well and looks great. Millions of years of evolutionary history can’t be wrong, and Esther Blum, a holistic nutritionist for nearly two decades, has helped her clients get gorgeous and strong by reinstating the simple, high-protein, low-carb diet that our bodies naturally crave. Esther believes that the greatest gift you can give yourself is a lean, gorgeous body—for life. Through a potent combination of hormonal balance, a detoxified system, and muscle mass, anyone can achieve great results by following some simple no-nonsense tips. Esther breaks her diet down into three easy and sustainable phases: first, a two-week detox, followed by a second phase of hormone balance and fat loss, and then finally, a maintenance phase, which keeps you within 3 to 5 percent of your body fat ideal. 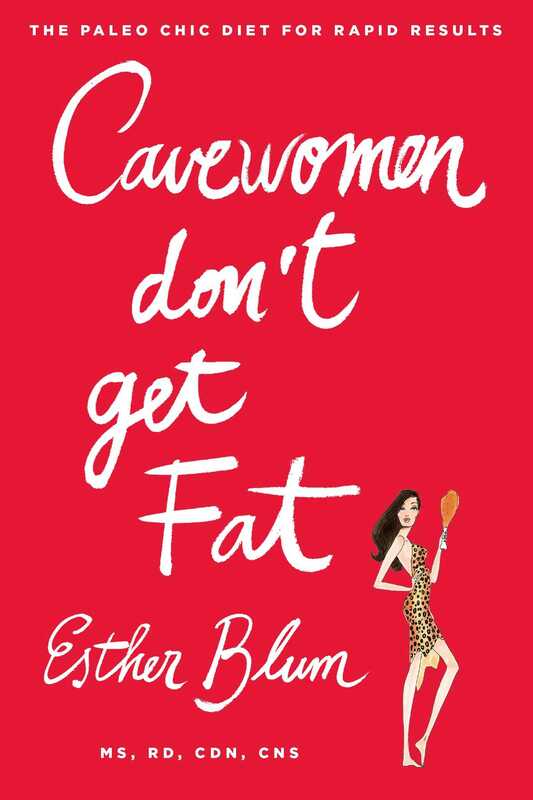 Smart, sassy, and sensible, Cavewomen Don’t Get Fat will help women everywhere feel and stay gorgeous from the inside out.